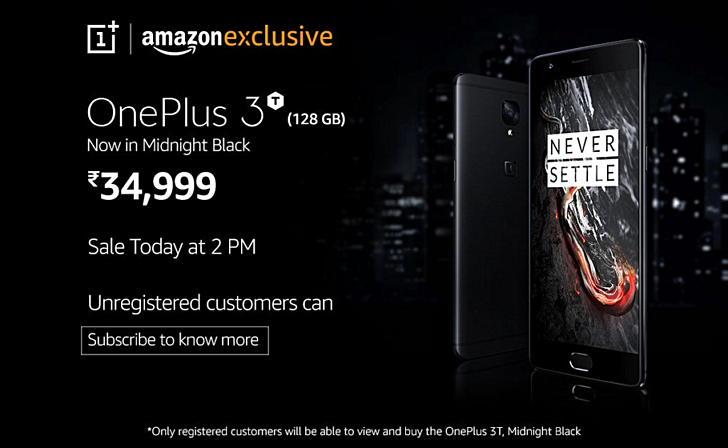 The limited edition OnePlus 3T Midnight Black will go on sale in India today. The model, which carries a price tag of INR 34,999 (around $540), will be available for purchase from Amazon as well as the Chinese company's India online store starting 2PM (IST) today. OnePlus Experience Store in Indian city of Bengaluru will also be offering the phone. Initially, it was announced that a total of only 250 units of the phone will be made available, but that changed last week when it was revealed that more units will be made available. The model, in case you aren't aware, was announced to celebrate the 20th anniversary of concept store Colette in Paris. I thought the 128 GB variant has always been priced around the same.... maybe you are comparing this with a 64GB variant bro... chill out.